What is a headhunter tournament? | HeadHunter Tournament Definition - Casino Answers! A headhunter poker tournament is pretty much what it sounds like, you get paid to eliminate players. These can be a lot of fun as players might play hands that they normally wouldn’t in order to eliminate certain players. Especially in headhunter tournaments that are found online where there are bonuses for eliminating poker pros. The bonus for eliminating someone varies, but you can often pay for your entry fee with just a single elimination. Usually the prize pool for the tournament is split in two, 50% is awarded to the winner and the other 50% is offered up as bounties for the players. Each time you eliminate a player you win extra cash and the bounty on your head goes up as well. People are quick to go all-in in headhunter style tournaments, especially when they have a larger stack and have the chance to collect a bounty. Because of this, you may find that headhunter tournaments progress faster than other tournaments which just adds to the fun. When you eliminate someone you get 75% of their “head” with the other 25% being added to your “head”. This makes players who have eliminated other players more valuable than ones who haven’t eliminated anyone. The player who wins the tournament will get to walk away with the bounty on their own head as well as anything else that they win. Expect to see a lot of all-in hands as people fight to eliminate other players. Use this to your advantage by playing tight until you get a solid hand. 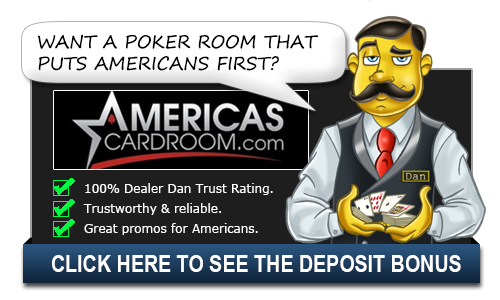 While others will be going in on just about anything – weak flush or straight draws especially – and hoping to draw, your best bet is to play the opposite of them if you want to make it deep into the tournament. That said, you will have to make some tough decisions. Another strategy you will see is a lot of re-raises to put someone all in, you don’t get extra cash if you leave someone with $50 so watch for that extra raise to make sure a player is eliminated. A lot of times, a single elimination of another player can build your stack so people like to try to do that early. A large stack can help you bully and push people with lower stacks, building up more eliminations. This gets you into a position of strength, but also puts a big target on your head. People will always be wanting to go all-in here so you should use that to your advantage. Slow play a hand and you might find that the other players are putting you all-in with no idea what you are holding. A lot of people throw strategy out the window early so use that to your advantage. You can build up bounties simply by playing correct poker and letting the fish come to you.